Given man’s close association with time, he tends to struggle with the notion of eternity, in part because it falls outside of his sense of reality. From man’s perspective, the concept of eternity is abstract, not concrete. Eternity is limitless, not marked by a beginning or end. Even those who accept the concept of eternity, wrestle with its magnitude. The concept of eternity is seen throughout the Bible. God Himself is closely associated with it and is considered to be the one and only eternal being. While God is eternal, man is not. Genesis 1:27 says, “So God created man in his own image, in the image of God he created him; male and female he created them.” Man’s origin was at the point of his and her creation. The creation narrative underscores the fact that man and woman did not always exist. All men and woman are destined for immortality, some in God’s presence, and others apart from it. Getting our heads around things like God and eternity is difficult for us to comprehend because they are foreign concepts to us. For the most part, spiritually speaking, it takes an act of faith to truly believe in God and His eternal existence. The enormity of God and eternity are just too big for us to wrap our minds around. This is why those trusting in mere intellect are apt to reject the God of the Bible and His eternality. Man is relatively comfortable grasping the concrete things of this world, but is far less secure when confronted by the abstract. Apart from faith, most of us need some sort of mental or experiential bridge to help us cross the chasm of doubt. For this reason, we find even gifted minds looking to intellectual bridges and thinkers of old to help grasp veiled truths. Is there anything that might help bridge the gap when it comes to comprehending the concept of eternity? Is there anything even remotely similar that we can relate it to intellectually? I believe so, and it comes in the form of mathematics. The mathematical bridge is the concept of infinity. The ancient Greeks are known to have considered the concept of infinity, as did mathematically minded individuals such as Nicolas of Cusa (1401-1464), Galileo (1564-1642), Georg Cantor (1845 -1918) and the like. 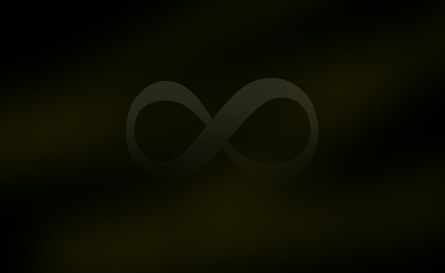 In 1657, one of the great mathematicians of his day, John Wallis, introduced the symbol ∞ used to express an “unending curve.” 3 Today, the “unending curve” is referred to as the Infinity Symbol. In an article titled, The History of Infinity, G. Donald Allen, of the Department of Mathematics at Texas A&M University, notes, while some “logicians and mathematicians” wrestle with “the issues of infinity,” for “most of us” a “working definition” of it has been achieved. Indeed, some within the mathematics community continue to wrestle with the concept of infinity, but why? Simply put, because when push comes to shove, like eternity, it is an abstract concept from man’s finite perspective. One cannot point to infinity or study its expansiveness. One cannot place a slice of it beneath a microscope and examine its finer points. One cannot quantify its size. Yet even with issues, as Allen noted, “most” have found a place of understanding. Infinity and eternity are two different concepts. They are not one and the same. The common thread between the two is, neither can truly be understood or quantified in their fullness by the finite mind. The bridge between eternity and infinity is their enormity and our inability to fully grasp them. The good news for those who believe in the concept of eternity is that if mathematicians are able to accept the infinite, accepting eternity isn’t a fool’s dream. If great minds can establish a means to mathematically express the infinite, then why not theologians when it comes to eternity? Be it the infinite or the eternal, man’s attempt to grasp them will always fall short, but imperfect bridges to understanding and hope are far better than no bridge at all. The God of the Bible is eternal. Grasping His eternality is beyond our comprehension, but as with infinity, inability to fully grasp such things does not mean they are illogical or don’t exist.